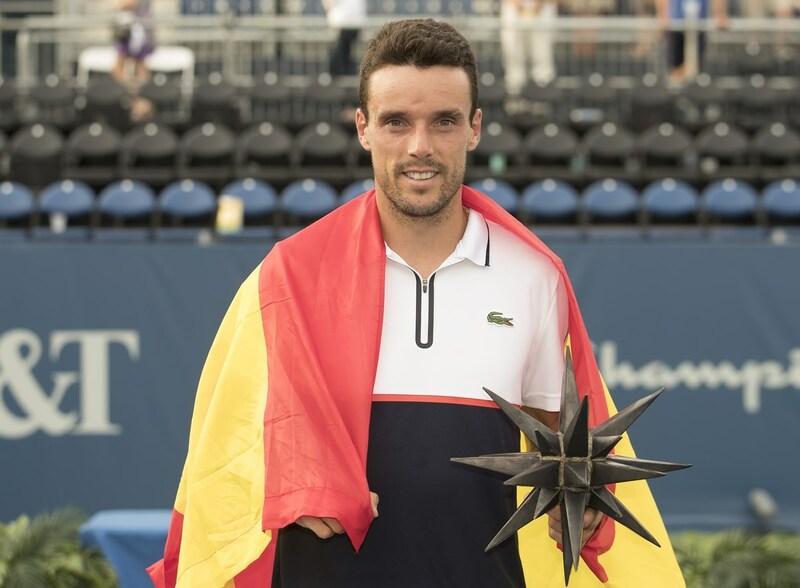 After a runner-up finish last year, Roberto Bautista Agut came to this year’s Winston-Salem Open as a man on a mission. this year’s WSO crown on Saturday afternoon at the Wake Forest Tennis Complex. Dzumhur battled back to get back on serve. and his sixth career title. current ATP World Tour rankings. After a first-round bye, he beat Dusan Lajovic in the second round, then followed with wins over Marcos Baghdatis, Taylor Fritz and Jan-Lennard Struff. By winning the WSO, Bautista Agut is assured of not having to play at the US Open until Tuesday. He’ll face Andreas Seppi in the first round. serving for the match, up 5-3, in the second set, and Dzumhur promptly broke him at love. There wereflashbacks to last year, when he was serving for the match in the second set against Pablo Carreno Busta, before Carreno Busta fought back to win in three sets. playing his 11 th match in a 12-day span after reaching the final of a Challenger event in the Dominican Republic last week, and if he was tired, it was completely understandable. Dominican Republic. He then beat ninth-seeded Gilles Simon in the second round and followed it up by beating Horacio Zeballos in the third round, 13 th -seeded Hyeon Chung in the quarterfinals, and Kyle Edmund in the semifinals. “It was the best week for me so far,” Dzumhur said. “I really enjoyed playing in Winston-Salem. Dzumhur is expected to rise to No. 56 in next week’s ATP World Tour rankings, which would be a career-best.